Here are the details, this Sunday, 1/26 from 4pm until 7pm, pie goddesses, Emily and Melissa Elsen will be signing their cookbook alongside, The New Midwestern Table author and the Food Network's Heartland Table host, Amy Thielen. As a special treat, Amy's making her Hot Beef Combo, a roast beef sandwich on homemade potato bread with a scoop of mashed potatoes and gravy on top with a side of fresh horseradish pesto. 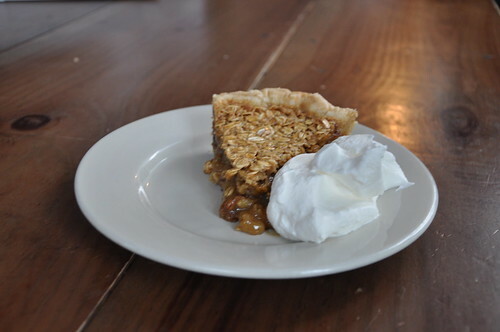 Pair that with a slice of their Black Bottom Oatmeal Pie (seen above!) and complimentary snits of Kelso Nut Brown Lager. Sounds like some good and hearty comfort food for this chilly weather we've been having!